Adam Wade was born Patrick Henry Wade on 17 March, 1935, in Pittsburgh, Pennsylvania, USA. In the 1950s, Wade worked as a laboratory assistant for Dr. J. Salk, who developed the polio vaccine. Preferring the idea of a performing career, Wade signed with Coed Records in late 1959 and became a popular vocalist in the early 1960s. 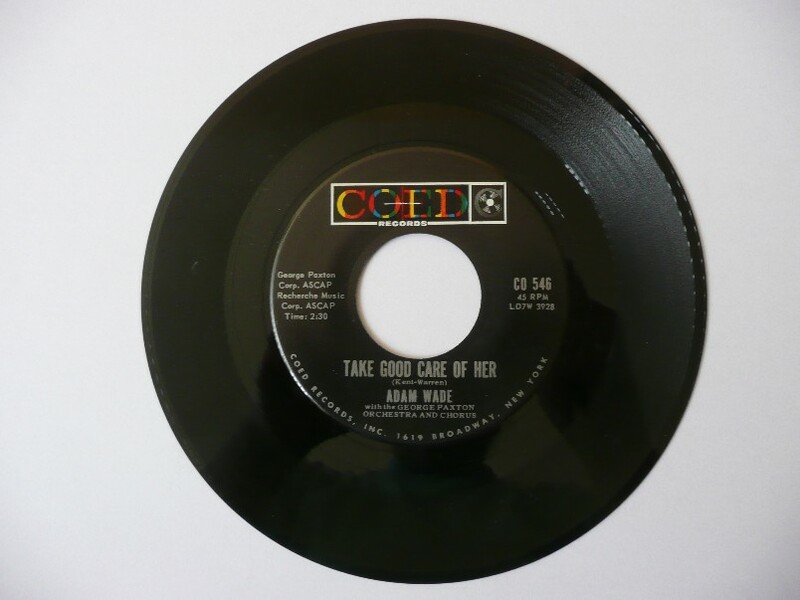 His original recording of "Take Good Care Of Her" enjoyed success on both sides of the Atlantic in 1961. It was first released as a single on Coed CD 546. Wade released his own version of "Crying In The Chapel" in 1965, by which time he had moved to Epic Records. Wade's ventures into acting in the late 1960s and 1970s, in both film and television, led him to become the first African-American host in the USA of a national game show, Musical Chairs, in 1975.